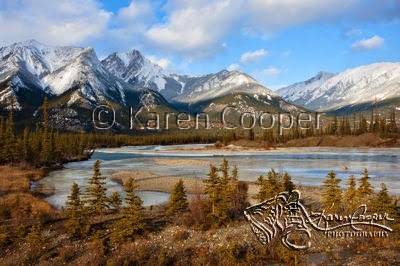 across the border to Alberta and Jasper National Park. needs to be included in these chronicles. feeling of this bigger than magnificent park. bouts of the most incredible blue skies I have ever seen. and the smallest of ways, tiny chickadees and field mice. in open fields, in amongst trees watching me back. in peace and harmony with itself. man has imposed on her, she still survives and thrives. I did touch her spirit, through a brief moment of eternity.